Hope for Japan Kitsap WA Our first fundraiser! Please come by and support our first fundraiser! 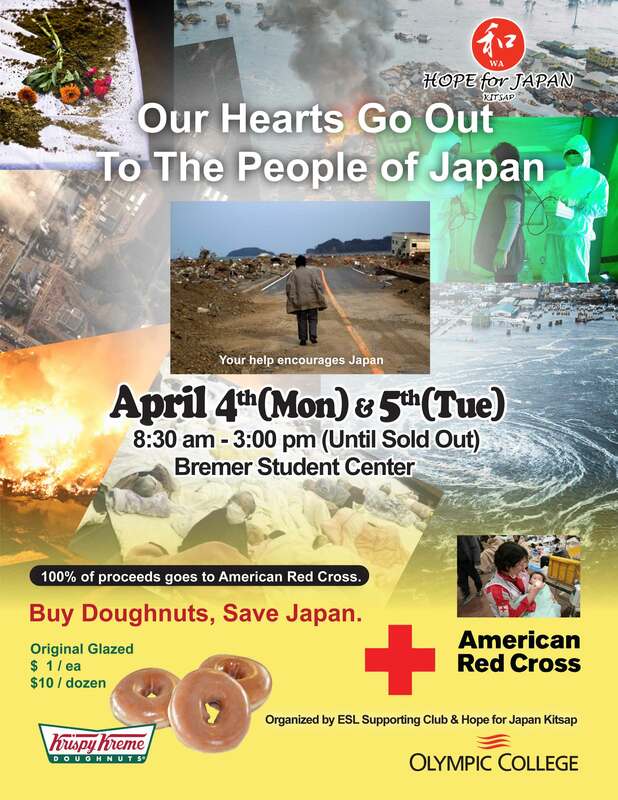 8:30~15:00(until sold out, limited number of donuts)! You can get the Krispy Kream donuts without drive to over side of sound!